I don't care what anyone tells you, building a home is no easy task. But if you have the right team to back you up and help interpret your vision, it can be one of the most rewarding experiences. Architect Darwin Harrison described this project as "A Study In White." 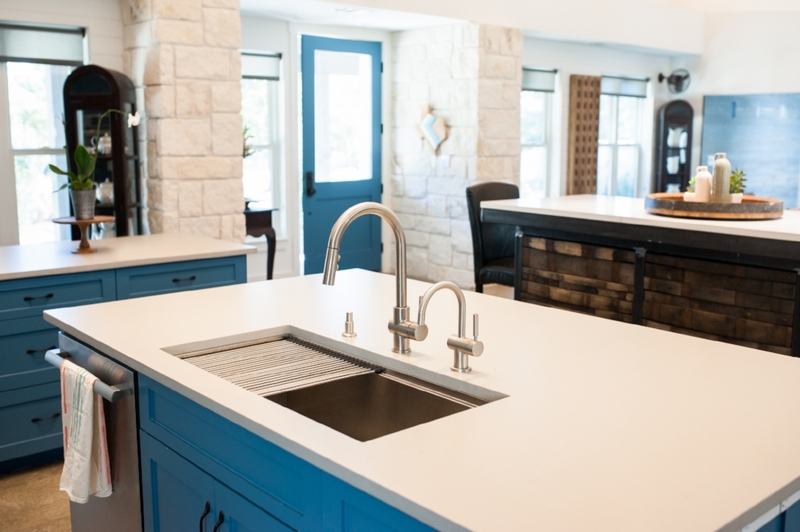 For our first foray into homebuilding, we wanted a farm house style that was modern, but not so much that it didn't fit within the Texas Hill Country setting. Harrison brought our dream to life through his intuitive skill and design talent. Longtime family friend, Jim Cummings executed Harrison's vision as our builder. 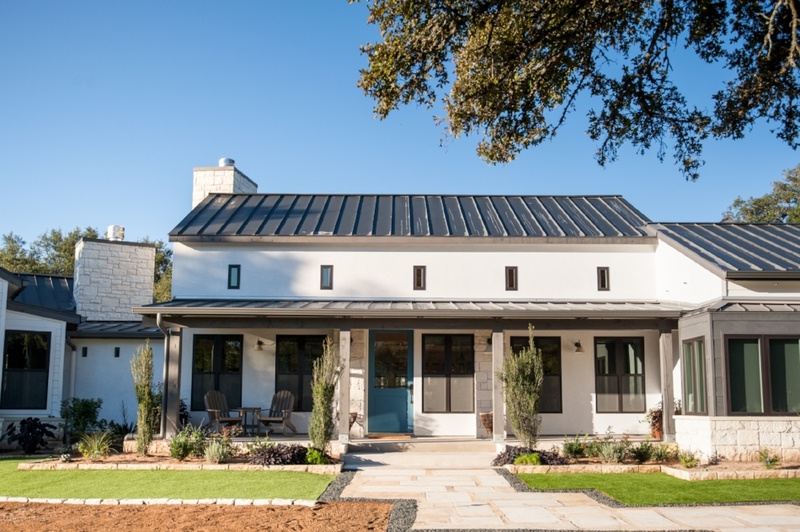 Today, we're grateful to call this little slice of heaven on eight acres in Dripping Springs, our home. We took our time designing the project—about a year before we ever broke ground. 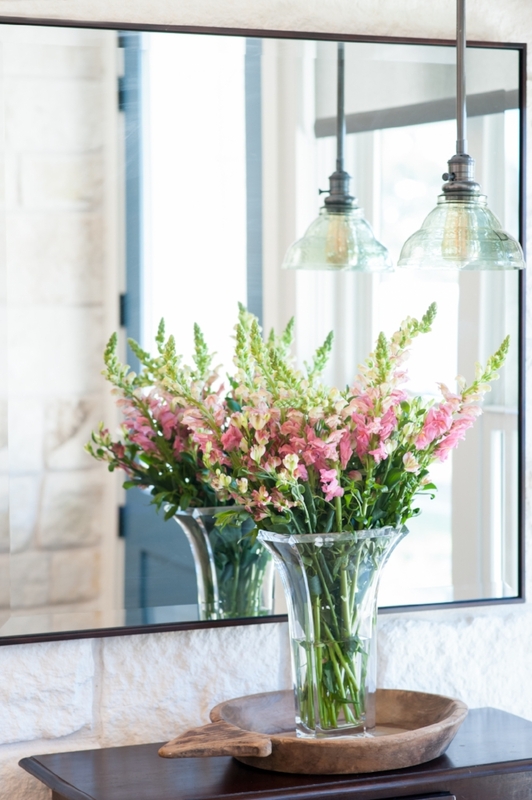 We wanted to embrace as much natural light as possible to bring the outdoors in from any room of the house. 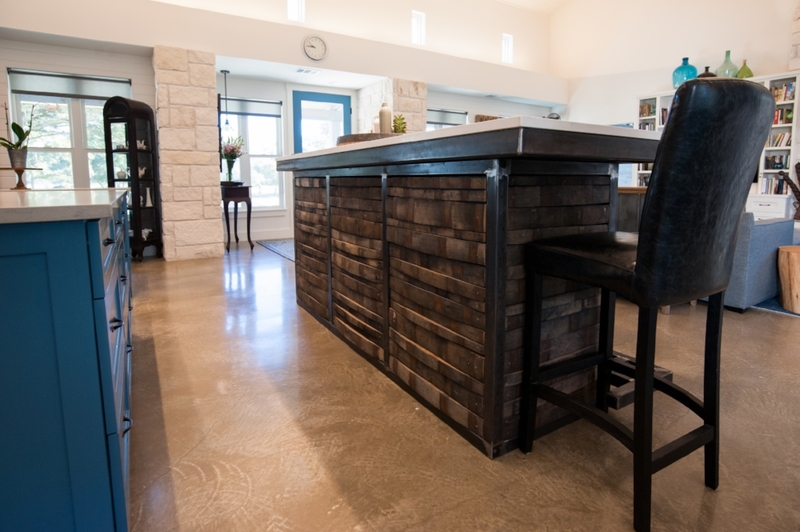 As a cookbook author and wine writer, I needed an expansive kitchen with multiple islands for prep work as well as a separate large island for eating and entertaining. A large walk-in pantry with a devoted wine storage area completes the dream kitchen for this accomplished cook. The master suite includes separate bedroom, bathroom, and home office and is joined by the guest room area at one end of the layout while the laundry room and bedrooms for our two young children are at the opposite end. 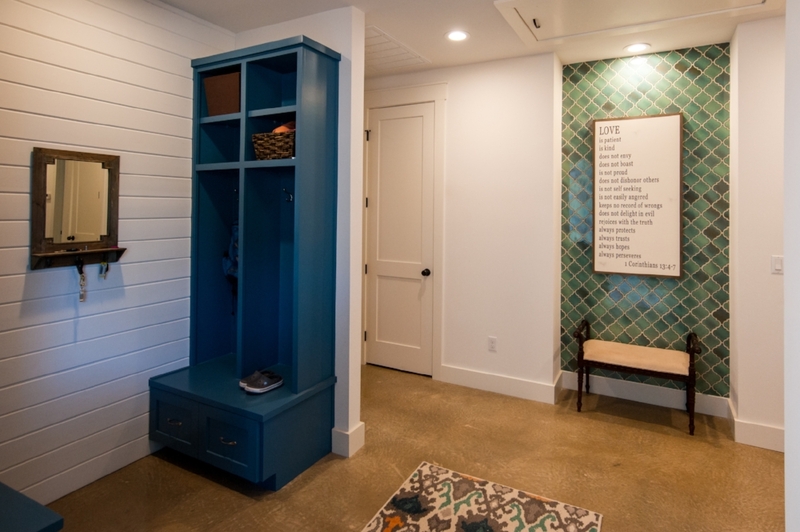 A detached garage with playroom and home office for the husband creates a wrap-around design at the back yard pool area. As described by Harrison: "The main room exemplifies the desire for a bright, white palette to enhance the abundant natural light with occasional compliments of unique natural materials such as the polished concrete floors and Shou Sugi Ban (Japanese burned wood) accents. Bedrooms are enhanced with corner extensions to provide play areas or sitting areas to capture views to the landscape beyond and make each room feel adaptable to varied uses over time. The main room is an expansive volume capable of being a cozy intimate environment for the family as well as a grand space for large dinner parties or family gatherings. The exterior continues the elegant, simple palette of white and grey complimented with limestone accents."